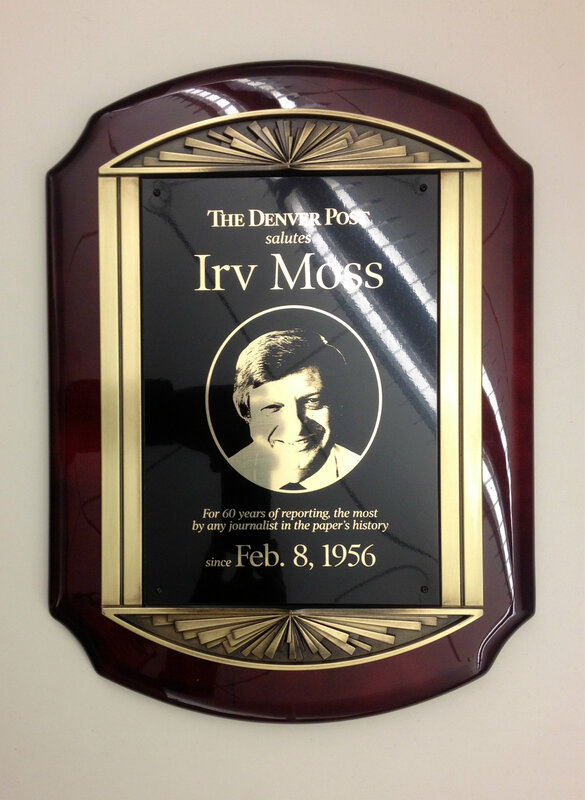 The plaque commemorating Irv Moss’ 60 years at The Denver Post. 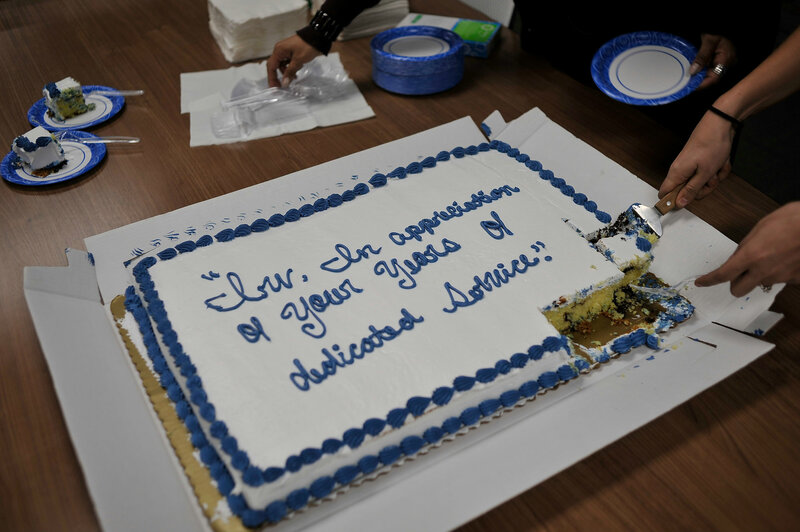 The event marked the longest any journalist has served at The Post in its 120+ year history, and by any employee by at least 2 years. 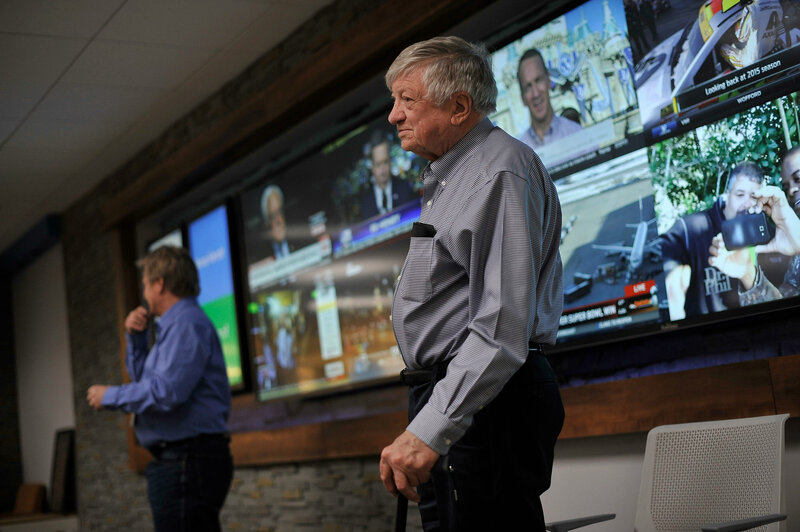 Although unconfirmed, it’s believed Irv also holds the record for continuous service by a journalist in the history of any newspaper in Denver. The event was marked by speeches from Editor Greg Moore, sportswriting colleague Terry Frei, and Bob Ottewill, the former executive director of the Catholic High School Activities Association, which recently inducted Irv to its Hall of Fame. A plaque commemorating Irv’s achievement was presented to him and will be permanently displayed inside The Denver Press Club. An open-house reception will be held at the club on Friday, Feb. 12, to mount the plaque.